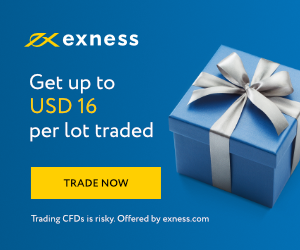 Low spread: Exness offers Bitcoin trading service first times on September 2017. And It always offers the tightest spread and no commission. At the beginning, it’s spread is 5 - 7$ each coin and other brokers offer 15 - 20$ spread per coin. One month recently, when Bitcoin price is up to 20,000 USD. Market spread goes up to 100 - 500$ in average. But Exness keeps the tightest Bitcoin spread from 20 - 120$/coin. This is the main reason why most of Bitcoin traders choose Exness for scalp. Exness offers the highest Bitcoin leverage. All forex brokers offer lower leverages for Bitcoin trading. XM’s highest leverage is 1:888 but they only offer 1:10 for Bitcoin trading. Exness offers highest leverage for forex is unlimited and for Bitcoin is: 1:50. This means you can pay 50 times lower to buy a coin. Example: Bitcoin price is 20,000 USD. If you buy Bitcoin in Exness you only pay 20,000/50=400$. This is the best news ever for Bitcoin traders. Because you can hold your coin as long as you want without any holding fee (Swap). So, there isn’t reason for you to own Bitcoin and pay full price. 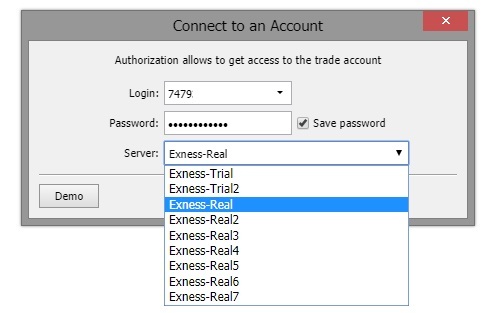 Let trade on Exness to save your money by high leverage (Just pay 50 times less to buy a Bitcoin). 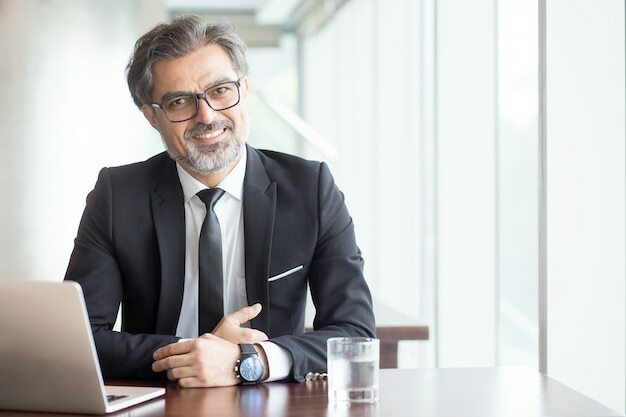 Trusted brokers for trading Bitcoin. 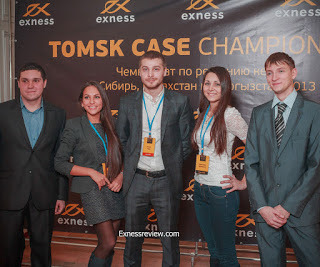 Exness is the biggest retail forex broker. So, it offers the highest liquidity. All your orders will be executed within milliseconds compare with 4.5 hours everage in Coinbase. This high liquidity is very important because you always can buy or sell whenever you want. When there is a big news and you want to sell, you can sell instantly to take advantage. There are 4 different account types. And Mini account is the most popular account by traders. 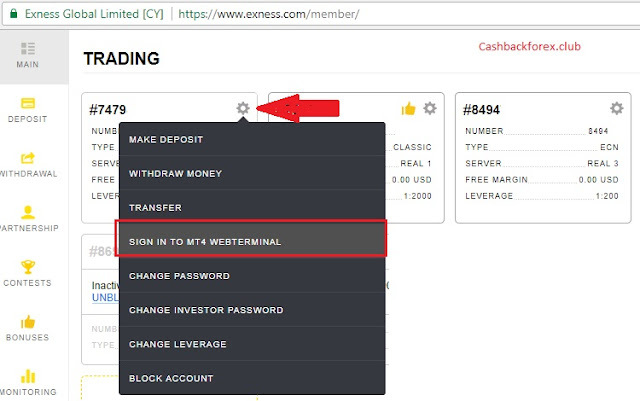 Step 2: Click here to login to your Exness account. 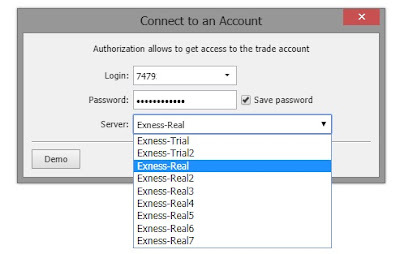 Step 3: After you log in to Exness. As below screenshot, You click to Log in to Webterminal. There are 3 information you have to fill. Please find all these information in step 3. All these information you can find out in step 3. Step 6: Showing Bitcoin price chart. There are over 130 currency pairs in Exness. And Bitcoin symbol is BTCUSDm as below photo. Right click to this symbol and choose Chart Window to show Bitcoin price chart. Now, It's time to buy/sell. You just enter number of coins you want to buy/sell and click buy or sell. Now, your orders will be execute within a click and a millisecond.